the faces are huge - and on the sides or roofs of buildings. when the train goes overhead, the eyes make different faces. a hand painted chocolate shell. in daniel pink's bestselling book to sell is human, he argues that all of us are in sales. when we have a family meeting about where to vacation, or recommend a course of action at work, we persuade others. 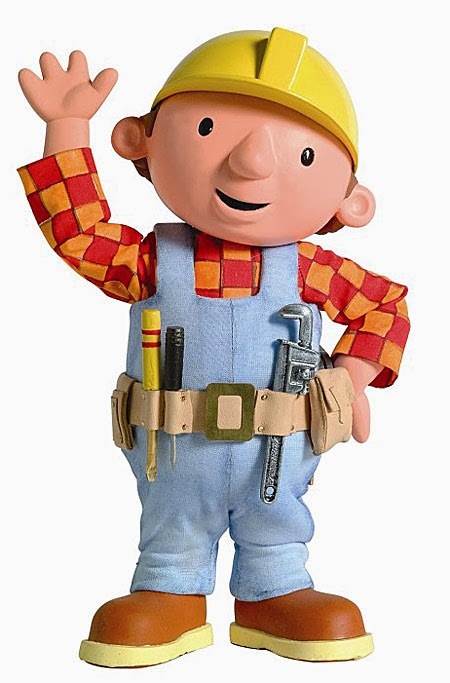 unlike traditional sales gurus, such as og mandino, napoleon hill, or tony robbins, who recommend we tell ourselves how fabulous we are, pink suggests we talk to ourselves the way bob the builder does - in questions. pink argues that recent research shows that when participants used 'interrogative self-talk" in a series of experiments, they achieved more. 1. first, asking yourself questions generates helpful feedback. for instance, say you need to make a presentation. if, instead of saying to yourself, "this will be easy! ", you ask, "can i make a great pitch? ", the question elicits useful feedback, such as, "sure! i've pitched this idea twice before! ", or "absolutely, but i spoke too fast last time, so i'll go slower today." it helps you summon useful resources and strategies. 2. questions generate intrinsic motivation - why you are pursuing this goal. Well, you'll have to ask yourself. a warm thursday greeting to you. check out the contemporary arts center. here's everyday beauty in an art museum. diane landry creates installations from simple materials. here is a laundry basket with a plastic spoon in front of the light. here are plastic water bottles. the machine with the spoon moves in and out, so the wall art is constantly changing. check out the contemporary arts center, cincinnati. 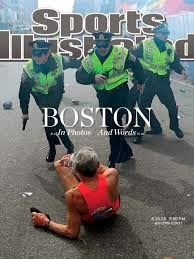 last april 15th, bill iffrig was 78 years old and running the boston marathon for the third time. as he neared the finish line, the first of the two bombs detonated, and knocked him off his feet. shortly after this photograph, bill stood up and finished the race. his time was 4 hours, 3 minutes. I had good rain gear, and even on the worst nights I never got too bothered by the cold, because I enjoyed what I was doing. It took me one year, working every night and weekend. We've lived here ever since. A few days after returning home from boston, iffrig caught up on his yard work. A lot of my neighbors hire a yard service, and that's fine, but I like to cut the grass myself. I've always had a lot of energy. I'm not much of one for sitting around. I get home after a 10-mile run, and I look forward to mowing the lawn. after the deafening bombing, iffrig rose and went 15 more feet, 4th in his age group. the book was chosen to be a quick read during the busy holiday season, and to focus us on what's important. anne lamott's help thanks wow categorizes prayer. 5. you don't have to read the book to go. you don't even have to know the title to attend and enjoy. 4. the author is completely non-denominational. prayer is universal. awoke and saw that life was service. / I acted and behold, service was joy." you can find cool comfort food at taste of belgium in cincinnati's over the rhine. an egg covers goetta with peppers and onions over french fries. not healthy exactly, but delicious.